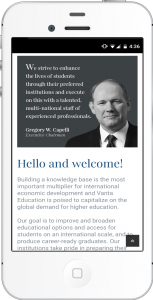 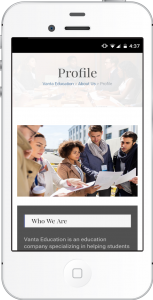 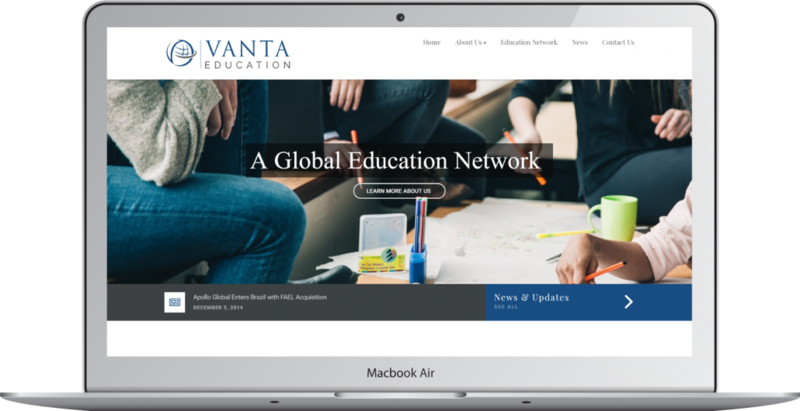 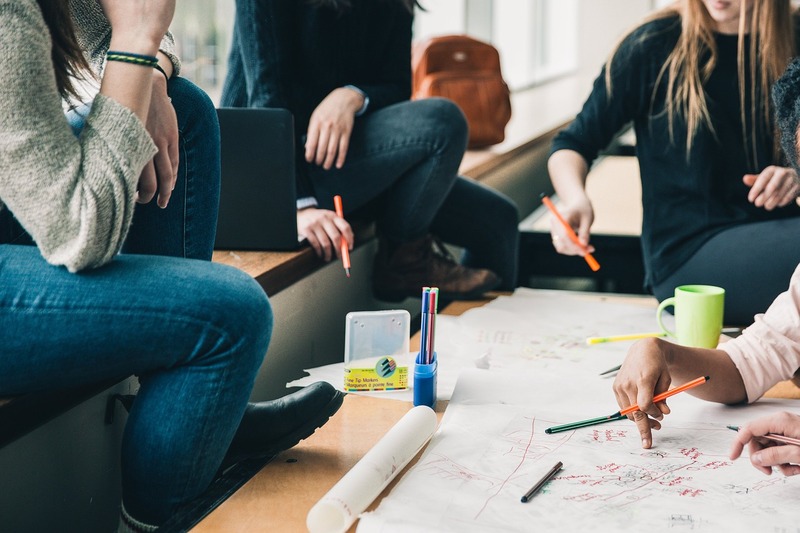 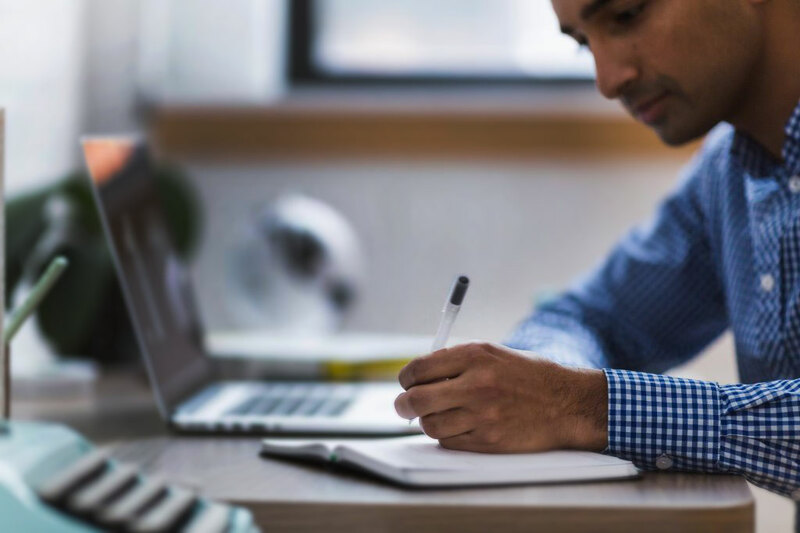 Vanta Education is a global education network with a vision to broaden student opportunity, grow the knowledge base of the communities it serves and advance the educational landscape worldwide. 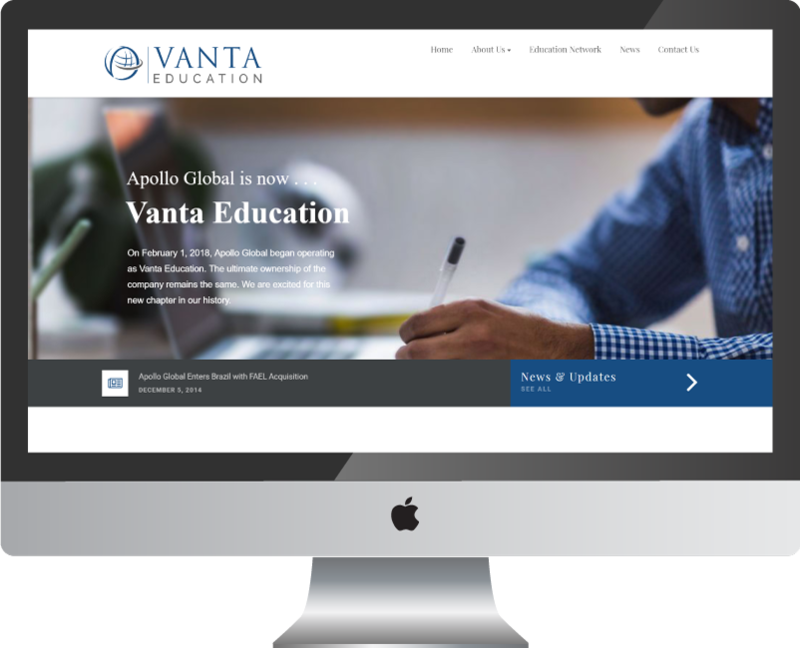 Vanta Education, formerly known as Apollo Global, was looking to create a new look and feel as part of its re-branding. 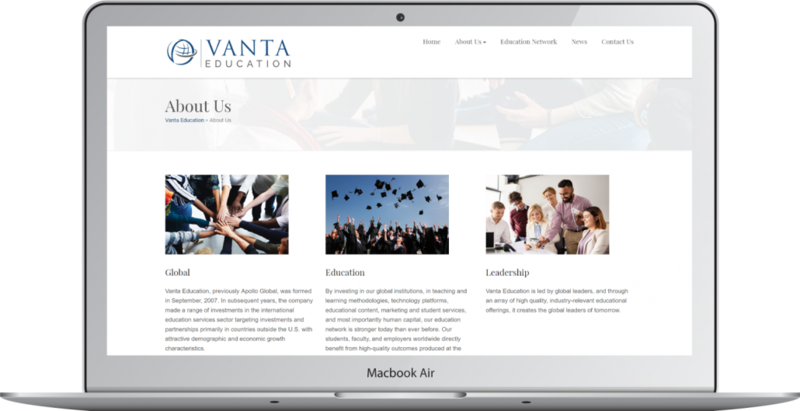 Vanta partnered with RMB to create a new logo, establish a new color palette and create a professional, mobile-ready website.